I’m going outside, I may be Sometime. Those who read my regular ramblings know that I am a fan of Malmo FF, the Swedish champions. Why do I bring this up? Because I am one of the very few Gooners who have actually seen Ostersund play. I had the misfortune of seeing Graham Potter’s side win 3-0 in Malmo, it was a rare and chastening home defeat. What can I tell you of Ostersund? Only that they will be better than you expect. They will be industrious, organised and determined. Likely to focus on a solid defensive foundation and hoping to score on breakaways or set-pieces. We have seen it work so often before which is why so many teams set-up this way against The Arsenal. Wins over Galatasary and PAOK show that Ostersund can beat quality opposition. Much is being made of the weather, it is cold, probably worse for the spectators than the players who can run around. Ospina will be worried! Sweden, like all the Scandi countries, have a winter break and only started playing last weekend. I am not sure if this is of benefit to them or us. What is certain is that if AFC do not win tonight there will be yet another anti-AW outcry and a few thousand N17 muppets laughing. Wenger has to play his best available team. The Europa has become our primary focus and Arsenal cannot afford to lose. Koscielny desperately needs a break and I would bench the chap. If fit, Ramsey has to play, we desperately missed him in the NLD. Given this an away fixture, anything is possible. Perhaps AW will want to shore up the defence and play Elneny and Kolasinac or even M-N.
We should win against a team who are the financial equivalent of Barnet having spent less than €100k assembling their squad. In Days of Old, with fixtures like this, we would go away, use squad members to get a draw and win easily at home. Will AW have the confidence to try that tonight? I certainly hope not. Let us start this series at the back and the men between the sticks. Prior to the Back 3 experiment our keepers were under pressure as we conceded goal after goal. I will question why when critiquing the defence, but the fact remains that we conceded more goals than any other season of AW’s reign apart from 2011. Were the Keepers at fault? I have to say No. There were times when mistakes were made but nothing in the Fabianski-mould. Conceding 4 goals from 4 shots vs Liverpool in our opening match may bring the GK into question but they were all unsaveable. Or the 10 vs BM? Again one should look at the men in front of the GK. Cech: IMO he had a fine season belying his advancing years. A difficult start to the campaign ended with perhaps his best performances for Arsenal in the run-in. I love to see the urgency Petr has with the ball in hand; his first thought is to get the team on the front foot and his distribution is superb. I am sure he would have been disappointed when missing the FAC Final but Petr must have known about AW’s Cup decision from season’s start and he seemed genuinely delighted at the final whistle (and got another medal for doing nothing). How long can Cech continue to be excellent? He is 35 and probably has, at best, another season or two in him. Both Seaman and Lehmann were kept for too long. Will AW give more game time to Martinez or sign a top young GK? We shall see. Ospina: Difficult to criticise despite him picking the ball out of the net on too many occasions . Our Cup GK and as we won the Cup it must be successful season. We were never going to win the CL though David must have been embarrassed to concede so often. Given the open spaces in our defence this was rarely his fault. Leaving the club this summer. We must be grateful that such a fine GK chose to ride the pine at AFC since 2014 as this is a man who has been on the Ballon D’Or long-list and played 77 times for Columbia! His two superb saves in the FA Final will live long in the memory. Thank you David. Martinez: Is he good enough to be Cech’s understudy? I have no idea. 2 PL and 3 League Cup appearances is not enough to judge, but what I have seen is a man who looks comfortable and is well prepared for an exciting future. Emiliano has been at AFC since the age of 17 and at 24 he needs to get more games or leave and develop his career elsewhere. I expect him to stay, join the first team squad and get more games next season. Summing Up. Responsibility for our defensive frailties cannot be laid at the hands & feet of our goalkeepers. Black Cats in the Cup – Not For Long? This is a mobile pre-match from your roving disgraceful supporters Ant and Duck. Apologies for any lack of quality. BR has technical difficulties. Rumours are that Fat Sam will field a weakened Sunderland line-up. 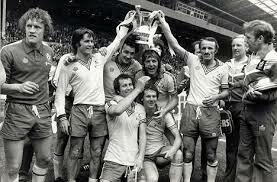 No-one rates the FA Cup anymore except Micky. Who would you like to see play today for the good guys? Sunderland is one of our favourite away trips, but we really could do without a replay. Will our second string have enough to beat their ‘weakened’ team? I’d imagine we’ll have a strong bench in case of emergencies. Fat Sam allegedly said that a full press causes leg injuries – his teams need strong necks! Poll: Ospina or Szczesny to play in the Final. The current incumbent and clearly Mr. Wenger’s first choice keeper. His record is outstanding – in 18 matches Ospina has conceded just 11 goals. He has made 48 saves and kept 8 clean sheets. Statistically Ospina is far ahead of the Pole. A fine shot stopper who came to us following an excellent World Cup for Columbia with a reputation as a future champion, he replaced Hugo Lloris at Nice whose President considered him as good as the excellent keeper who is about to leave the N17 knuckle-draggers. Ospina is the brother-in-law of James Rodriguez of Barcelona and is married with one child. Ospina is just 26 and already has over 50 International caps, he chose Arsenal over Athletico Madrid when he signed in summer. Clearly a confident man who believed he would soon take the shirt from Wojciech – he was right..
Two seasons ago TPIG had the football world at his feet. He was the coming man, the man who would be the AFC keeper for the next 15 years – the next Seaman. Szczesny has the talent, the physique, the technical and tactical nous to be a great goalkeeper. He has already played 130+ games for Arsenal. Last season he shared the Golden Glove with Petr Cech – Wojciech is no mug. TPIG’s saves per game ratio is the same as Ospina’s and let us not forget he was the GK at the start of the season when the team was so lethargic. Mr Wenger has shown his preference to play his second choice GK in the FA Cup and last season played Fabianski, which many believe indicates TPIG will start on Saturday. But …. Szczesny is on the Naughty Step. 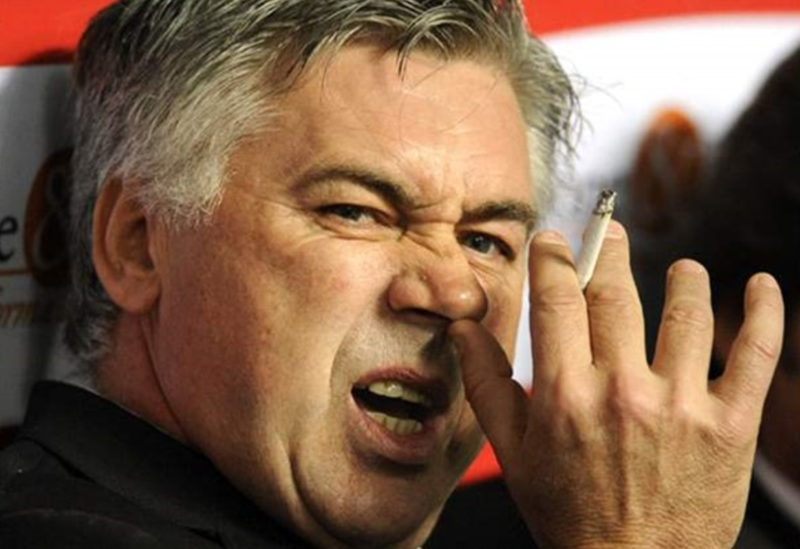 After some difficult games in which his concentration wavered his mental state came into question following a “smoking” incident. Yet this is a chap with enormous confidence – some might say too much and perhaps it was his mistakes at Southampton in January which have sealed his Arsenal fate. I have no real reason for saying this but I don’t trust Ospina. His silly errors vs WBA worry me – he just doesn’t seem to have control over his area. His lack of height could be costly against the aerial power of Benteke etc and Ospina will need to be a damned sight better with his punching from corners and crosses, TPIG is better in the air than Ospina as he has shown many times. He seems to be a good shot-stopper and his distribution is certainly better than Szczesny. The problem is that I don’t trust Szczesny either. He has the potential to be a world class GK but seems to be undone by a flaky head. If AW was going to play him at Wembley then he would surely have started vs WBA ( Fabianski played the final game of last season pre-Wembley). The scale just about tips towards the Pole – he is due to play a solid game, he is better in the air than Ospina, he missed out last season and this could be his final appearance in an Arsenal shirt if (please, please, pretty please) Cech comes in summer. And sentiment rules – so my vote goes to Szczesny. Feeling confident? No? Neither am I.
I am always interested in the media narrative for the Arsenal and today’s will undoubtedly be our record against the Big Boys. No need to tell you … it is pants, make that worse than pants, it is double pants. And yet there are reasons to be positive – nearly all of them wrapped up in a 5’6″ Chilean. He scored a cracker against City at the Emirates in a game which we dominated for 75 minutes. We were the better team that day which augurs well for today. And we have many of the injured returning for selection. Mesut, Theo, Aaron, and Matthieu are all available for selection. Worryingly Gibbs may be missing and with Chambers likely to play RB Pellegrini is sure to attack down the flanks. Monreal had a nightmare against Navas in the 6-3 at The Etihad and Chambers for all his quality is no speedster, expect much of the same today. Perhaps Mr Wenger will surprise us and play Bellerin who is improving game by game. We have seen Arsenal go away to big clubs and allow them to dominate possession, perhaps this is as a result of going to MC and Chelsea with very attacking tactics and getting hammered. Does pragmatism work? I prefer us to play to our strengths and not the opposition but AW may well play with two defensive shields in from to the back five i.e. both Flamini and Coquelin …. I hope I am wrong. We have signed a new Pole! Happy Days! A white Vieira? Let’s hope so. As to the other Pole – it appears he is still on the naughty step. Ospina has done enough to keep his place and expect him to get a good run of games should he maintain his performance level. Given Coquelin’s recent work he deserves to keep his place ahead of the more experienced Flamini. To Theo or not? To Ozil or not? To Ramsey or not? What do you think? I would like to see us play exactly the same team that did so well against Stoke. The midfield of Santi playing deeper with Ox and Alexis in front worked very well. With MC sans Yaya (but with the very strong Fernand** chaps) we can play through them. At last we have formidable attacking options on the bench; men who can turn a game in 15 minutes. When was the last time we could say that? I don’t want to spotlight the attacking power of City. To win today our defence will have to concentrate from kick-off to the final whistle with no lapses and as always we have to defend as a team. The media are setting this game up as Aguero vs Alexis. In my opinion it is a question of which team defends best. And of course, how well Mike Dean performs, we all know the man is an anti-Arsenal imbecile but perhaps – just for once – he will have a good game. How exciting. We are at home. The tickets are cheap. It is an autumn night. There are few expectations. We have a big enough squad to play some top players mixed with exciting youngsters. Southampton play expansive, attacking football. Given the size of our squad and the strength of our bench I believe our B team can win the Capital One Cup. It would be a fine addition to the trophy cabinet and something we haven’t achieved since Rasp had hair …. without looking it up, when were we last League Cup Winners? (see bottom of post). Reading Koeman’s pre-match thoughts it appears as though S’ton are going to play a very strong team, as close to the first team as possible. I can understand why because winning a piece of silverware – any trophy at all – would be huge for S’ton whose last trophy win was back in 1976, almost 40 years ago! How will Mr Wenger respond? Well, we know that Diaby will start and I wish him all the best. He is such a good player whose career has been hampered by injury, at 28 he still has the chance to achieve his ambitions. Ospina will start his first match for the Gunners. This is a strange signing for me – a fine signing for the club but weird for Ospina. Perhaps he believes TPIG is not very good and that he has a chance to usurp him, I think he is mistaken but I guess he is earning a far higher wage and is happy to ride the pine for the foreseeable future. As I say, an odd decision for a much in demand International class keeper. Another point of interest will be the progress of Akpom. Chuba has played and scored for England at every Youth level, he is the fastest player over 10 yards in recent AFC history (beating both Walcott and Henry) and recently scored a hatrick for the U-21’s. He looks excellent when playing in the U-21’s but it is a huge step up to play with the Big Boys. Ray Kennedy did it, Anelka did it, can Chuba Akpom? Then there is Isaac Hayden. Could he be the reason Mr. Wenger didn’t buy a back-up central defender? He did well in his previous outing with the first team when he played the defensive midfield role and looked very composed in the recent U-21 win over WBA. It is upfront where we have so much in reserve. A forward line of Podolski, Akpom and Campbell is dangerous, add in the attacking midfield of (I assume) the Ox or Rosicky and we should score goals. The problem, as ever, is in defence. This team could be a bit light defensively so perhaps Akpom will be on the bench and Ox play on the left with Campbell through the middle. Another alternative is Flamini at left back rather than Gibbs. Why? Because there is a rather important game on the weekend and we do not want to risk an injury-prone Gibbs. 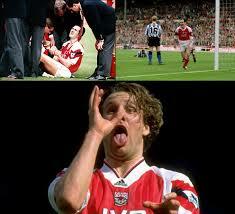 Morrow’s Big Day Out and a pre-recovery Merse. Win this and there are just 9 PL teams left in the draw. Lose and we free up some game-time. Here’s to an entertaining match.